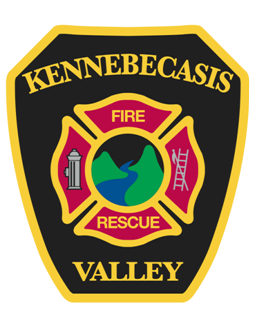 On behalf of the dedicated members who serve with me at the Kennebecasis Valley Fire Department, it is my pleasure to welcome you to our official website. This website has been created to provide easily accessible information to the public about the services we provide within the community. We work continuously to meet the evolving needs of our community and this website combined with our Facebook and Twitter accounts make our life safety information easily accessible where and when you need it. This site contains information on the department, it's history, some frequently asked questions, and news about the department. 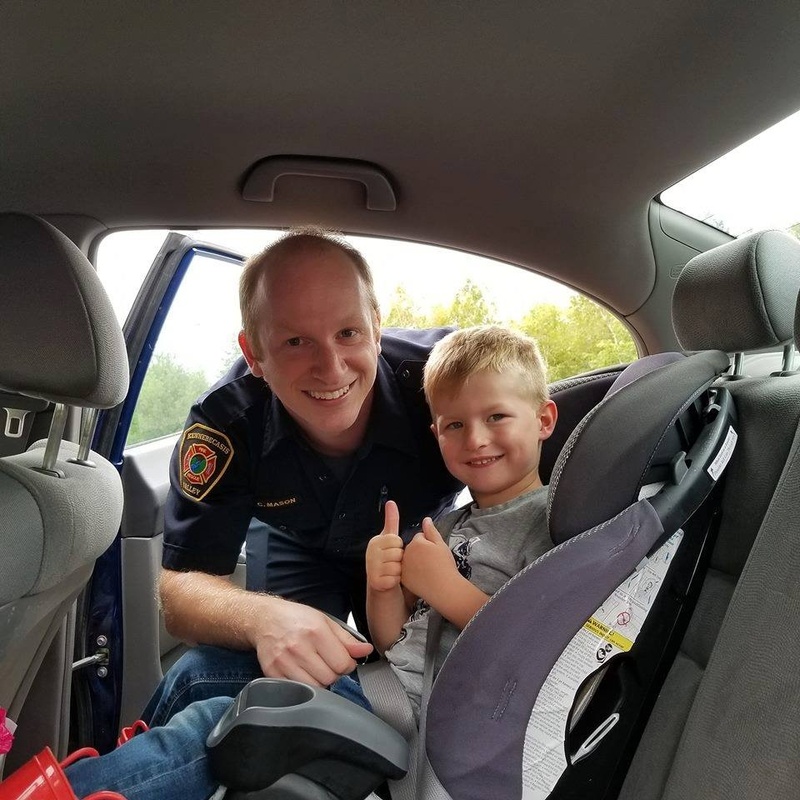 We regularly update our social media accounts so I encourage you to explore the abundance of information available and learn more about fire and life safety. Your feedback is encouraged so that we can respond to your needs. We hope that you will become familiar with who we are and what we do. Our goal is to provide outstanding customer service to the citizens and visitors of the Kennebecasis Valley. Help us find you when you need us! Our civic signs increase the visibility of your address during both day and night. 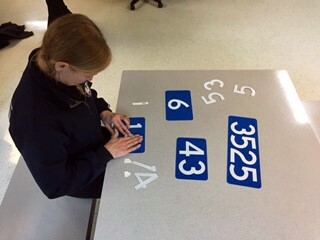 Plates can be single or double sided and numbers can be horizontal or vertical depending on placement. Drop by station one (7 Campbell Drive, Rothesay) and get yours today! Have you ever wondered about fire safety in the home, or how or where to install smoke alarms? 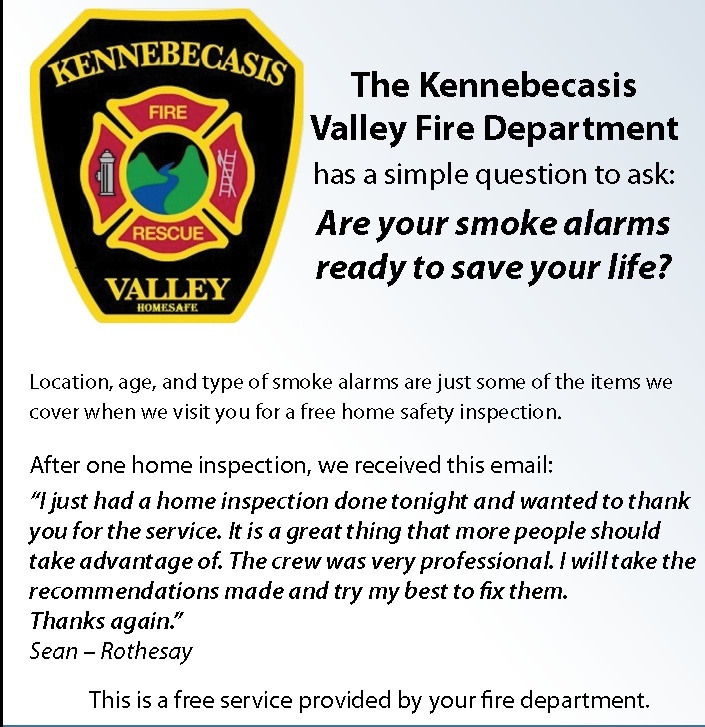 The HomeSafe program comprises of voluntary home inspections and door to door smoke alarm campaigns throughout the Valley. After you’ve contacted us for a home inspection, we will arrange a time for us to visit. You can expect a fire engine to visit your house and the crew will follow a check list as they discuss fire hazards in and around your home and what changes you can make to minimize the risk.